Presented in excellent condition throughout and boasting a south west facing sunny back garden, this fine property would make a great starter home. Offering three bedrooms and three bathrooms, this semi-detached home is located a short walk from Moate town centre in a popular residential area. Decoration throughout is in very good condition, and the front yard offers private parking. Inside, the property extends to approximately 98.5 square metres and has a BER rating of C1. 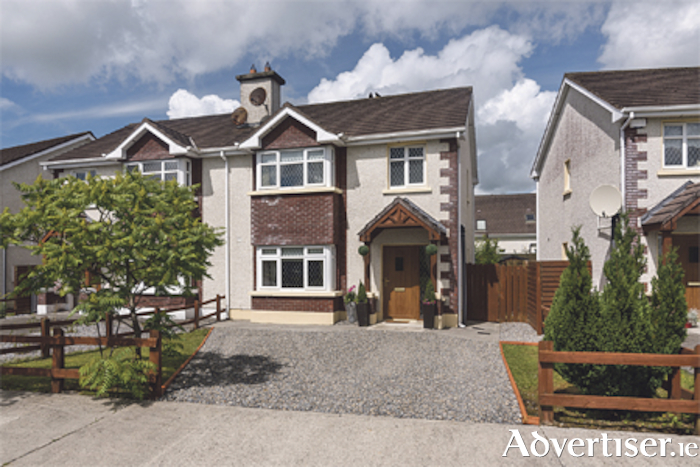 For more information or to arrange a viewing, call agent Helena Kenny on (086 ) 8119190.